Yum Brands (Taco Bell) needed new Western Region Headquarters that could meet their expanding needs and test kitchen requirements. The space they were in was a high rise multi tenant building and the complaints from the existing tenants regarding the smell from the test kitchen became a nuisance. 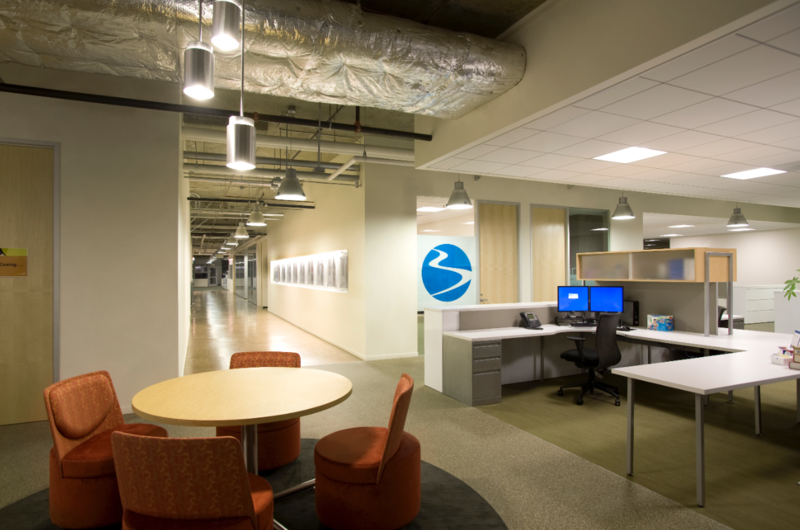 They decided on taking 180,000 Square Feet at Ford’s newly vacated space in Irvine, CA. 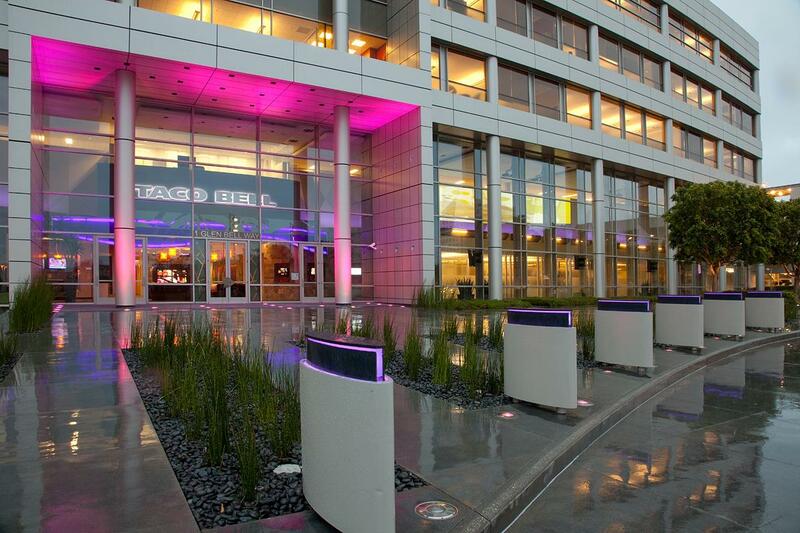 Taco Bell wanted to establish a LEED Gold Rating in their new offices in a building that was energy efficient and to have a design that was truly aesthetically pleasing. 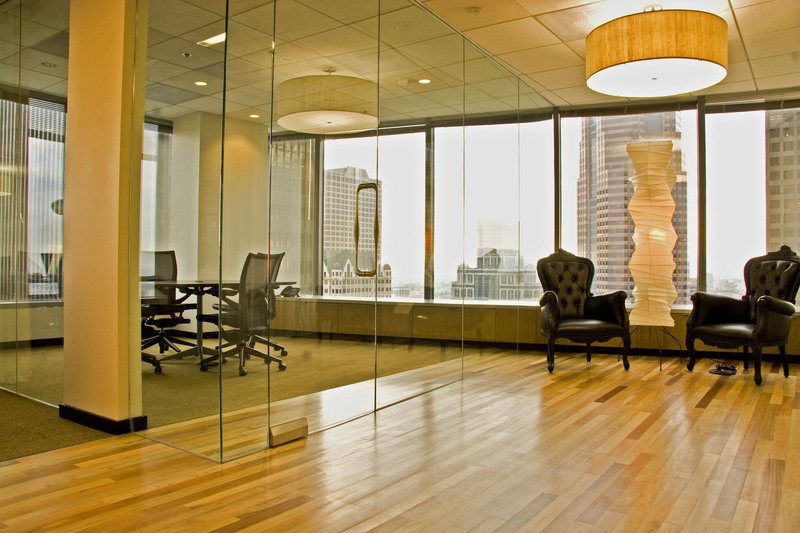 The design firm of LPA was chosen to work with L&F out of Kentucky to meet the client’s needs. 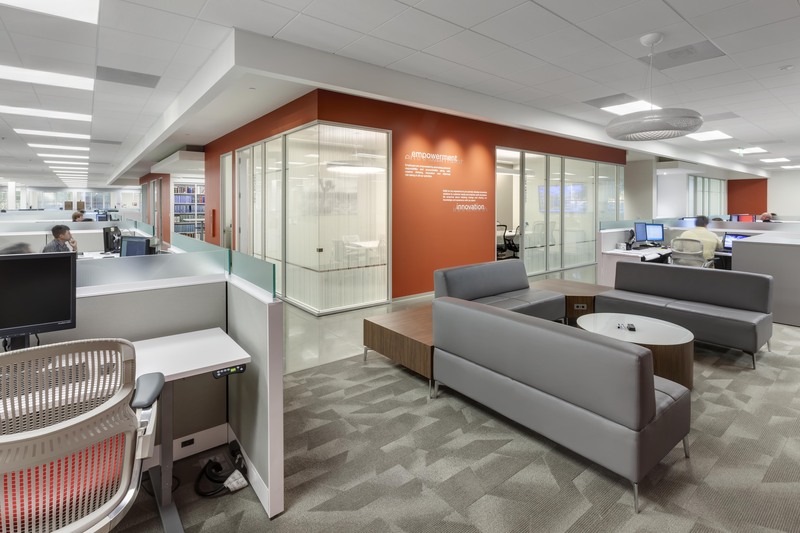 The resulting space consisted of three full test kitchens, Steelcase furniture system, connecting stairwell and raised flooring throughout the upper floors. The design truly incorporated the Taco Bell Brand Colors and style that Yum Brands was hoping for. Accomplished! The only true challenge on this project was to work in the parameters of the buildings mechanical system which was designed for a raised flooring system, putting all of the mechanical systems in the floor as opposed to the ceiling. Having experience in this type of build out, our supervision proceeded to create a schedule that flowed meticulously and set us on a path to achieve success in the allotted time given. This project did have a condensed schedule and was large in size, however working in an unoccupied building with appropriate man power and qualified subcontractors set us up for success. Working with a client that was based in Kentucky was a minor challenge, however, with our knowledge of the City of Irvine and this type of building alleviated any major concern.